A good mountain bike is a solid investment. To continue enjoying your ride over time, you’ll want to keep it running well. 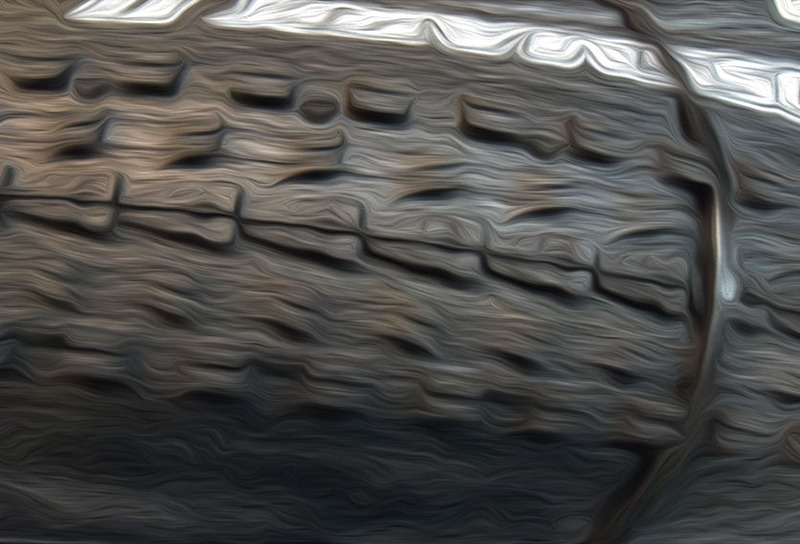 So it’s worth understanding which parts suffer wear, and what might suffer damage in a crash. In this article, we outline some key elements of mountain bike maintenance. The information should help you assess when something needs immediate attention. It can also help you plan for routine servicing. If your mountain bike is set up correctly, you should have a few months of trouble-free riding, but after this, you will need to start paying more attention to maintenance. Chain care is an element of mountain bike maintenance that is critical from the start. Make sure to lube the chain every time you ride. A dry-type lube will tend to keep your drivetrain cleaner. A single application will last up to four hours, but on longer rides you should re-apply lube mid-ride. If your bike is dusty or muddy after a ride, hose it off and remove excess water before storing. Your drivetrain should be cleaned and degreased on a regular basis. If you keep it clean, it will last longer, saving you money on replacement parts. You should check chain wear every few weeks, starting several months after installing a new chain. It is easy to test this with a low-cost chain gauge. The chain will need replacing when the wear level reaches 0.75-1.0%. At more than 1.0% chain wear, reciprocal wear on the rear cassette can reach the point where a new chain will skip. If you change early, you can expect to replace four chains before needing a new cassette. 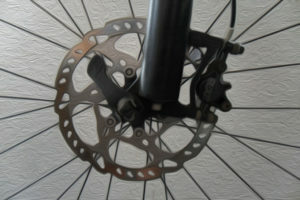 (On 1×11 or 1×12 systems, this may be three chains per cassette). Front cogs generally need replacing with every third chain. Jockey wheels also wear and should be checked regularly. Other derailleur components can wear or break too, particularly with crashes. 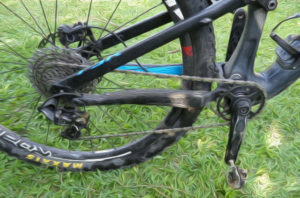 Derailleur hangers often bend in a crash. If this happens, your mechanic can use a special tool to straighten the hanger so the derailleur can function correctly. Brake pads, like chains, need to be checked regularly for wear. Wear rates can vary widely with your riding style, how often you ride and the pad type. New bikes normally come out with either resin or metallic pads. Resin pads are quieter but wear out quickly, while metallic pads are harder but may be noisy. There are also semi-metallic pads that sit between these extremes. Your brake pads will need replacing when the wear level hits 70-80%, which can take anywhere from two months to two years. The rear pads usually wear twice as fast as the front. You will also need new pads if the surface is contaminated, e.g. with chain lube or bike polish. This can lead to squealing brakes and a loss of stopping power. As a matter of safety, you should have your brakes checked regularly. An experienced mechanic can tell from the lever feel if the brakes are working properly. Spongy levers can mean air in the system or faulty lever seals. Not all levers can be repaired, unfortunately. Some manufacturers offer seal kits, but in other cases the lever needs to be replaced. Mountain bike rotors, calipers and brake fluid also need maintenance. Rotors come in varying sizes, but the width is usually 1.8 or 2.0 mm. A stamp indicates when the rotor should be replaced, normally at 0.3-0.4 mm wear. Calipers can sometimes leak oil due to faulty seals: a telltale sign is oil on the back of the brake pads. Replacement seals are not always available, so in some cases you will need a new caliper. You should replace your brake fluid at least every two years, as it will absorb moisture over time. There are two modes of mountain bike tyre set-up—tube-based and tubeless—that differ in their maintenance requirements. The choice of system is down to rider preference. However, tubes may be best for those doing easier fire road rides. Tubeless systems tend to suit riders looking to push harder. A tubeless set-up gives better performance with fewer pinch flats, but tubeless tyres are harder to set up and maintain. Going tubeless means you need special rim tape, valves and sealant. Tubeless tyres tend to fit more tightly over the rim, so installation can be harder. Installing a tyre correctly means seating the beads evenly around the rim. 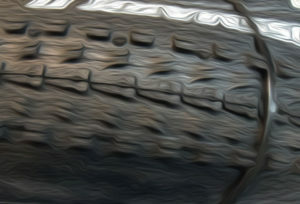 To achieve this, the tyre may need over-inflating when first installed. Sealant also needs to be added at set-up, and should be topped up every few months. In choosing a tyre, look at the manufacturer recommendations for riding conditions. For example, some tyres are better for wet, sandy or hard-packed surfaces. Recommended tyre pressures are available, but these tend to cover a broad range. The correct pressure will vary with rider weight and riding conditions. If unsure, discuss this with your mechanic. At a minimum, you should inflate to a high enough pressure to avoid pinch flats. Check your tyre pressures before each ride. 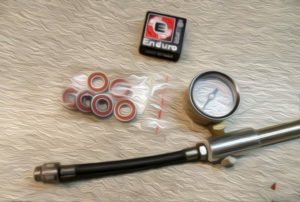 If a tubeless tyre loses pressure too quickly, or if it is hard to pump up, there could be a problem with the valve core. The core can become clogged with sealant, in which case it needs replacing. You should also check your tyres regularly for cuts. Fit a new tyre when the knobs are about half-worn if you are riding hard. If you are doing easier fire road rides, you can let them go a bit longer. Your wheels can take some punishment on the trails if you ride hard. As part of regular maintenance, mountain bike wheels should be trued every six months or so. Your mechanic can also check for loose spokes, notchy bearings and sideways movement. In between services, check regularly for loose or broken spokes, as these can sometimes go unnoticed. Your hubs also need servicing from time to time. Wheel hubs come in two basic types. 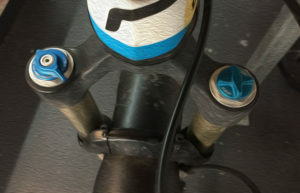 The first is a cup-and-cone type, found in Shimano wheels and some lower-cost brands. It is possible to service this type of hub by removing the balls, cleaning them and then reassembling with fresh grease. The other type of hub is the sealed cartridge type. With high-quality bearings, these can last for years. However, lower-quality bearings may need replacing once a year, especially if you are riding in wet conditions. Cartridge bearings are fairly low-cost, but a set of wheels has six bearings, so parts plus labour can be expensive. When fitting a new tyre, you should check the rim tape and replace it if it has lifted off the rim or if the tyre has displaced it sideways. Rim tape from different manufacturers varies in quality, so some types of tape will last longer than others. Forks are a major technical component of a mountain bike, and require careful maintenance. It is easy to underestimate the influence fork function has on your ride. The harder you ride, the more important your forks are, so it is important to have them serviced regularly. You should also pay attention to fork pressure settings. While there are brand recommendations for rider weight, these can be on the high side. Pressures can be adjusted down from these to suit rider preference. 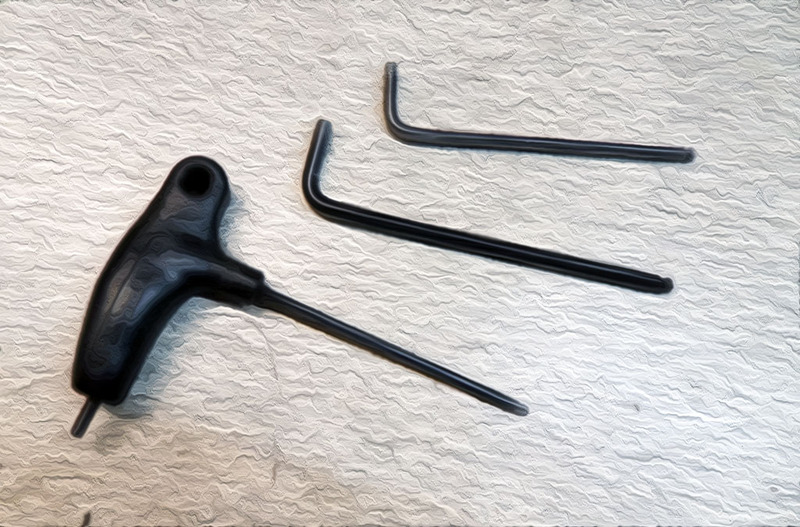 Three mountain bike fork components require maintenance at differing intervals. These are the lowers, the air spring and the damper. Lowers need frequent seal and bushing servicing so your fork stays free of sticktion. The recommended service intervals may be too short for riders who are not pushing hard. At the same, time, regular servicing of the lowers will avoid premature wear of the crown steerer unit (CSU), which can be expensive to replace. Most forks have pneumatic air springs that do not require much attention. Even so, the seals should be replaced at a major service. Damper units are more variable in their servicing requirements. Units from some brands can be robust, but others need more frequent attention. Most damper units require expert tools and knowledge for service, so tend to be handled by specialist centres. Most mountain bikes on the market today have rear suspension. Full-suspension bikes have been outselling hardtails for some time. Pivot designs are constantly evolving too. As with all mountain bike components, to function as intended your rear suspension needs regular maintenance. The rear suspension comprises a set of linkages with bearings at their intersections to allow movement. The bearings used are often small in diameter and can wear out quickly. Major issues can also arise from ingress of water and mud past the seals. Pivot bearings have a small range of movement and can easily become notchy: one indicator of notchy bearings is creaking while pedaling. Some riders interpret this as bottom bracket noise, but it is actually a rear suspension issue. At this point, replacement is the only option. The bearings themselves are not expensive, but labour costs can be high as replacing them requires removing the whole rear end. 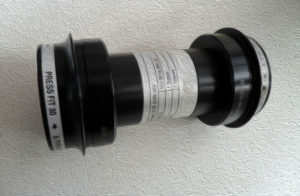 Movement control in the rear suspension comes from the rear shock absorber. This is a component needing specialist servicing. As also true of forks, the recommended service intervals are meant for riders using their bike to full capacity. Less demanding riders can extend the service interval. However, if the rear shock is leaking oil or losing pressure, it needs attention. Equally, if the rebound is not working or the suspension bottoms out easily, it should be serviced. While many riders expect to service the bottom bracket as part of maintenance, on most mountain bikes this is not possible. The majority of new bikes have cartridge bearing bottom brackets (BBs). It is not possible to repair or service this type of BB when there is wear. Once the bearings are notchy or worn, the entire unit needs replacing. There is one case where servicing is possible, however. In some BBs where the crank spindles and bearings run metal-to-metal without a plastic sleeve, there can be creaking from this interface. In these cases, it is possible to remove, regrease and reassemble the crank axle to remove the creak. However, this is a separate problem to BB wear. Apart from the specific mountain bike maintenance tasks described above, it is a good idea to have a full service every twelve months or so. On a test ride, a mechanic can identify wear or other issues you may not notice yourself. 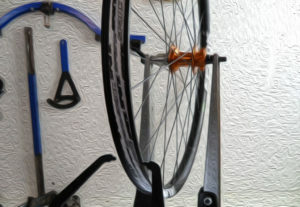 A full service also incorporates a complete strip and rebuild, including tasks like regreasing the seat post so it doesn’t end up frozen, and checking the pedals for wear. At Bike Knack, we pride ourselves in our quality of work and our knowledge of not only of mountain bikes, but road bikes and bicycles in general. For all enquiries, Dave can be reached on 0437 017022 or via email.